Sidhpur is also known as Sri-sthal or a “pious place”. It is mentioned in the Rig Veda to be existing at that time as the Dashu village. The legend is that the great sage Vyashya had donated his bones to God Indra here at Sidhpur. Sidhpur is also believed to be located at the junction of two rivers Ganges and Saraswati. Even in the Mahabharata, the great Indian epic, it is mentioned that the Pandavas had visited the place while they were in exile. During the 4-5th A.D a large number of people settled in this part. They were Gurjara people from Iran. Ancient Sristhal was haitant of sages Kandarma Rushi, and all Seven Saptarshi, Vashistha, Gautam, Jamdgni, Bharadwaj, Kashyap, Vishvamitra, Atri married daughters of Kandarm and Devhuti. Worship place of Devshankarbapa of Audichya Sahstra Brahmin was in 20 century and siddhpith esyablished on River Sarswati. Around the 10th century, under Solanki rulers, the city was at the zenith of fame and glory. 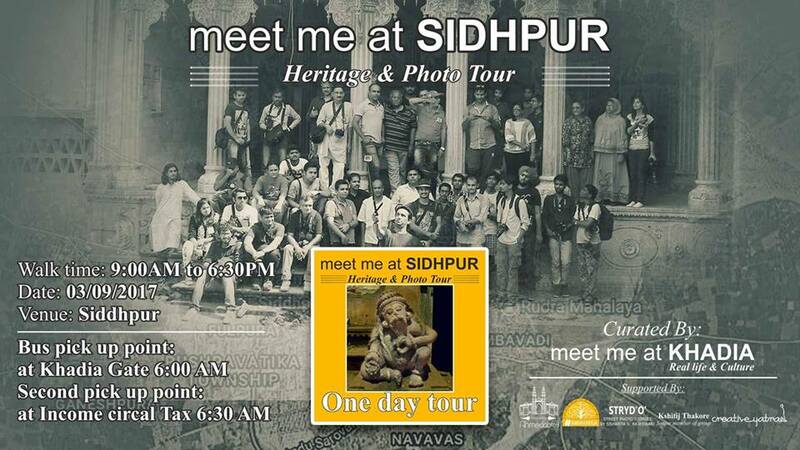 The ruler Siddhraj Jaisingh built his capital at Sidhpur, thus the name Sidhpur which literally means Siddhraj’s town. He built a temple dedicated to Shiva, and also beautiful palaces and one huge tower, some say of 80 metres long. He also brought large numbers of Brahmins from Mathura and had them settled here. During the 12th century Muhammed Ghori destroyed the town on his way to Somnath. Around 30,000 people were killed in the raid, and the Solanki empire was destroyed.